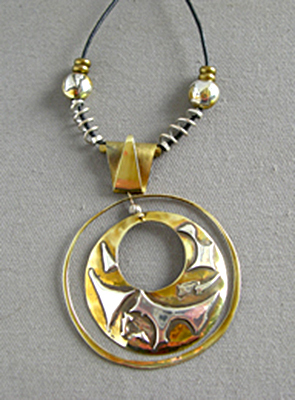 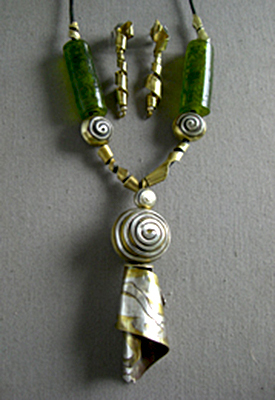 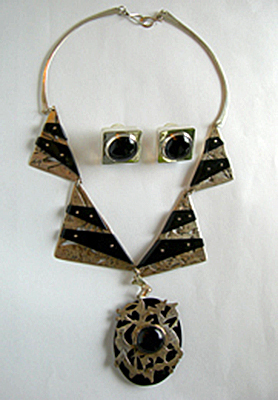 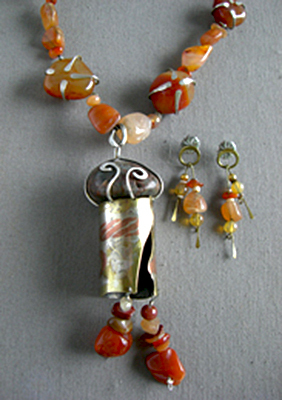 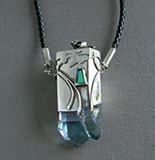 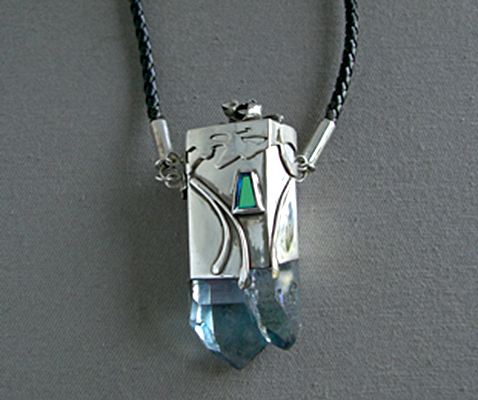 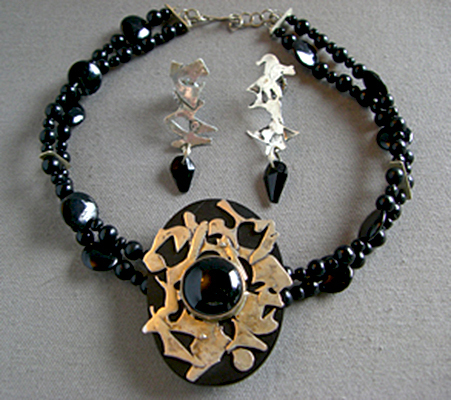 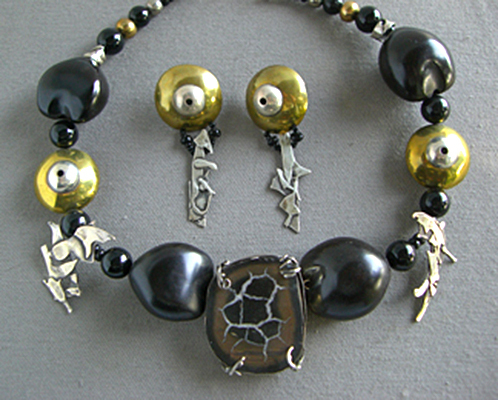 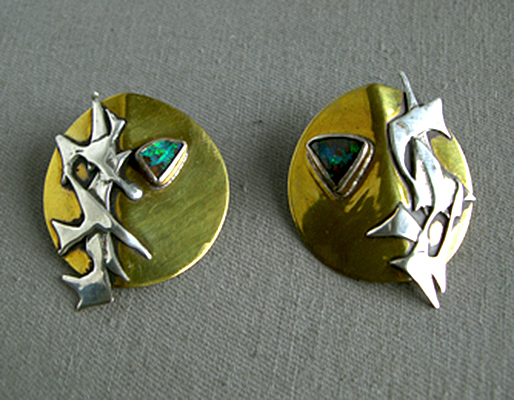 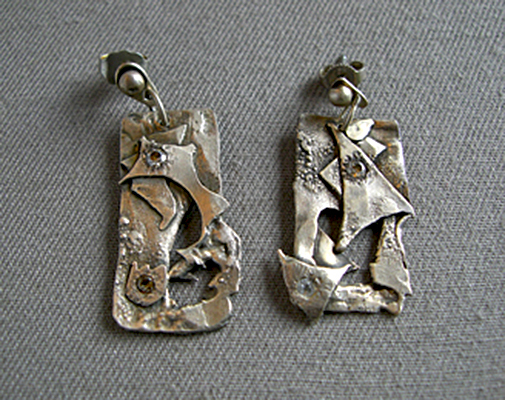 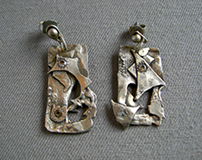 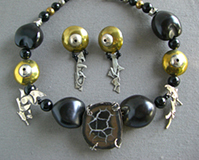 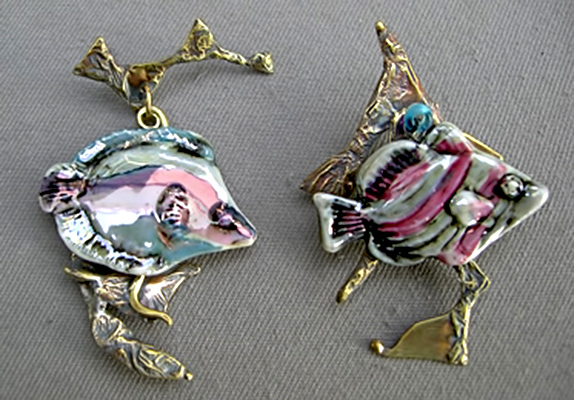 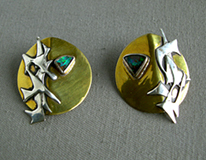 Fusing is a technique that I use in making my contemporary jewelry. 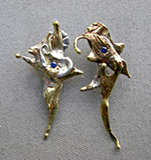 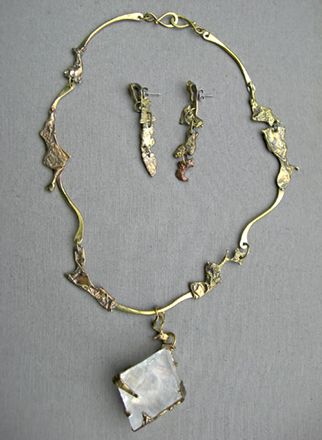 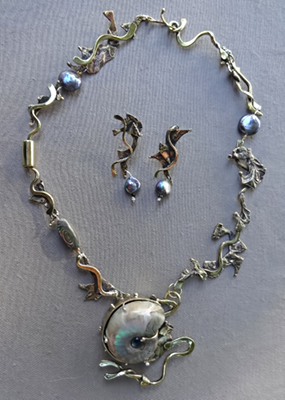 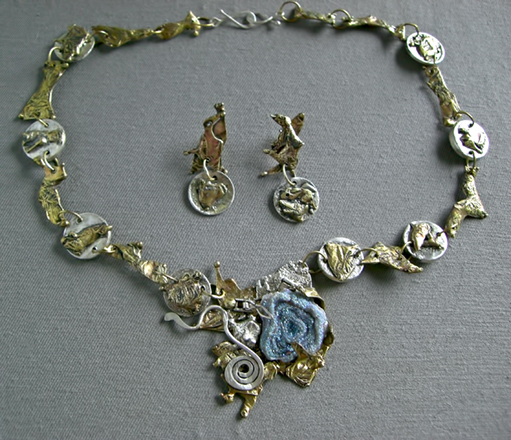 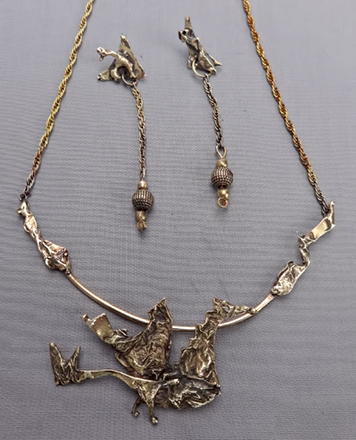 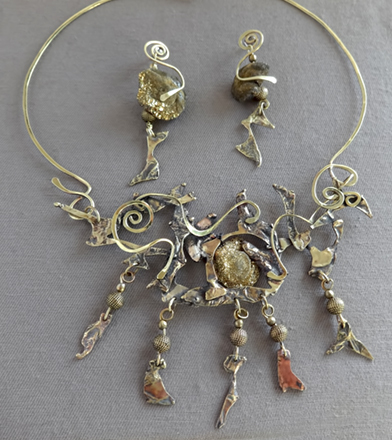 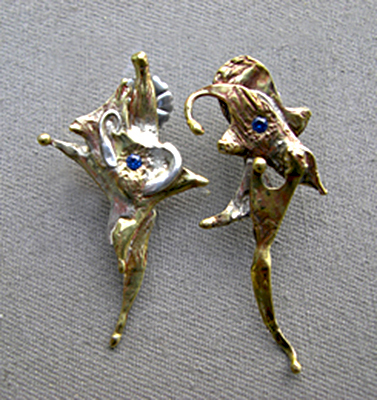 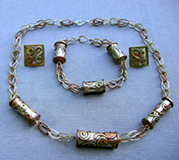 It is a process where some of the metals, like silver, brass or copper are fused together for color and pattern, or just partly melted to create a ripple surface or melted edge. 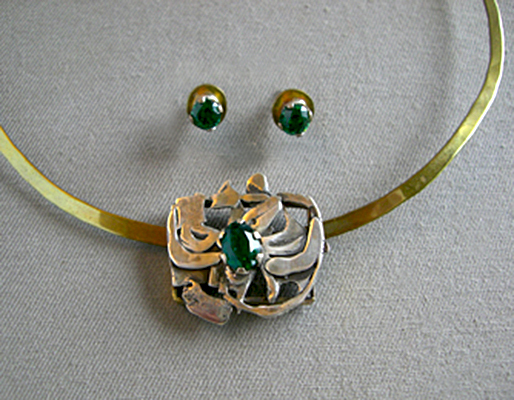 I also forge some of these pieces. 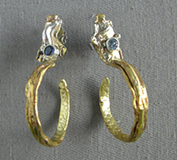 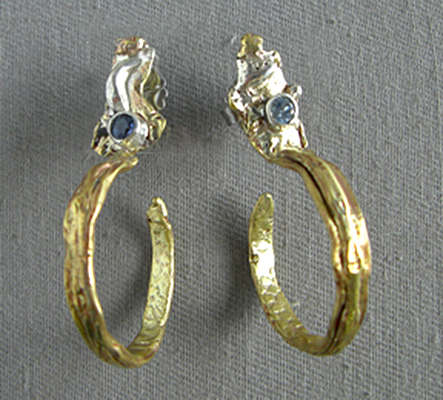 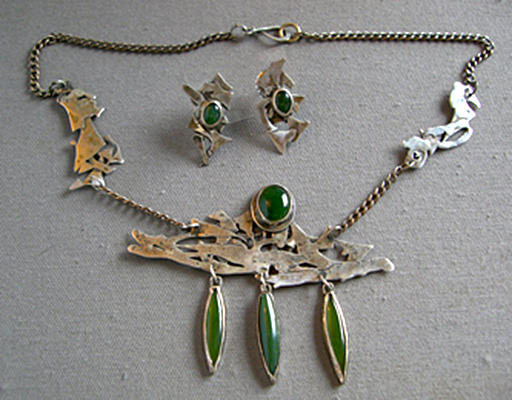 Sets are varied from prong, bezel and flush sets with stones, drizzle, Im. 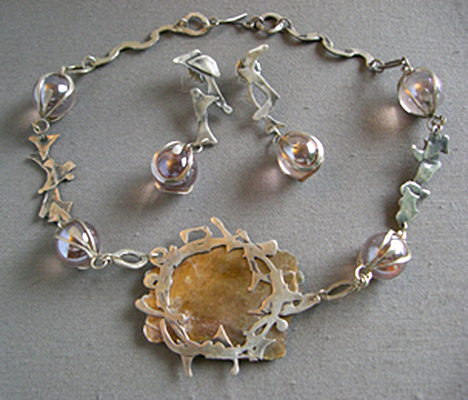 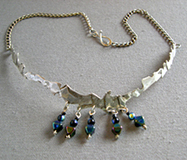 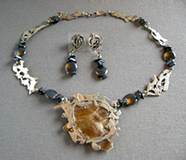 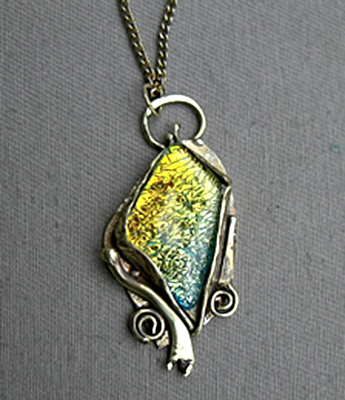 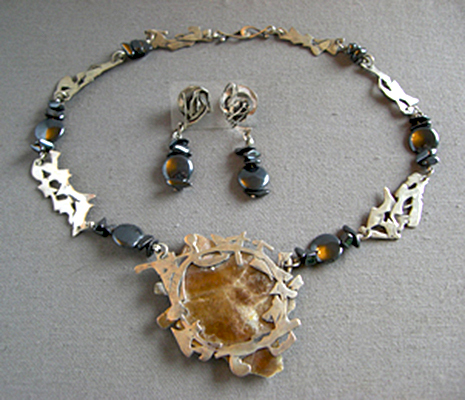 Faceted stone, fused glass, fossils and shell. 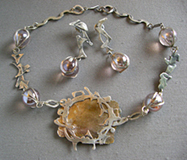 A couple of the bracelets are with bent Plexiglas and metal. 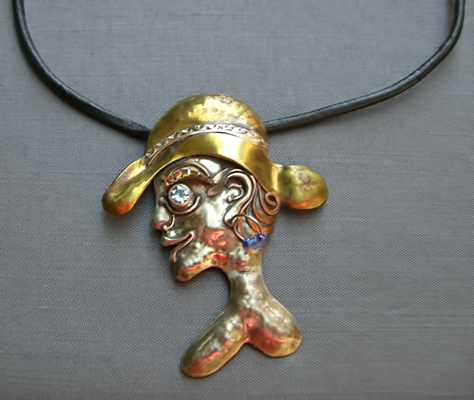 If the necklace fits at the base of the neck, I could use your neck measurement. 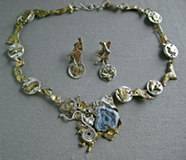 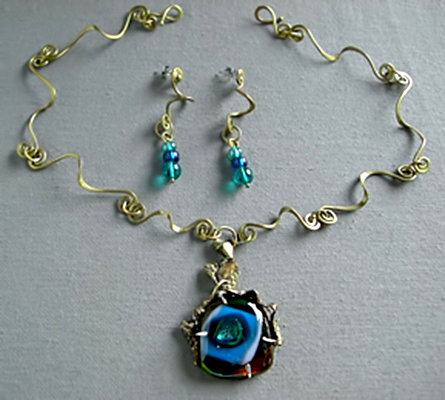 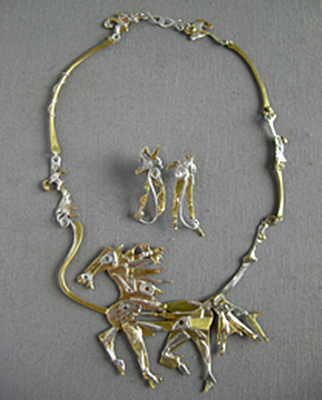 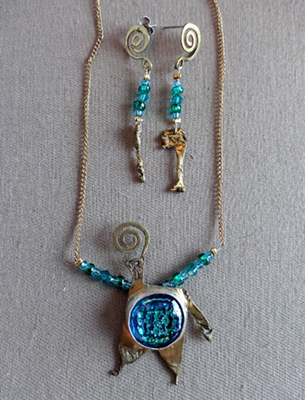 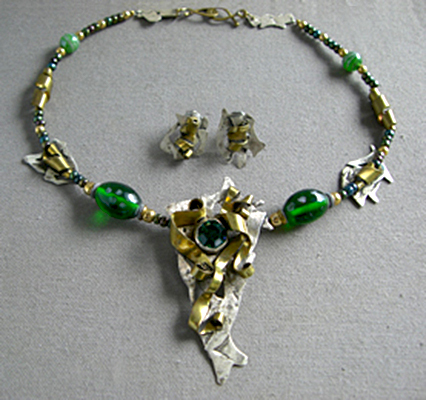 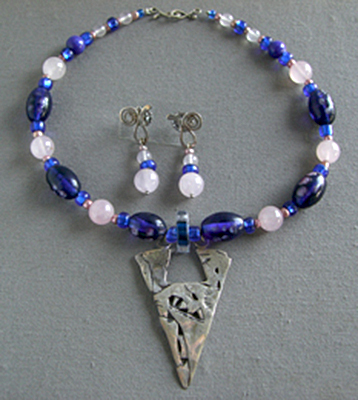 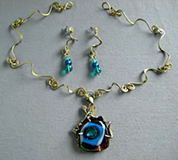 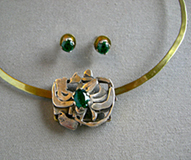 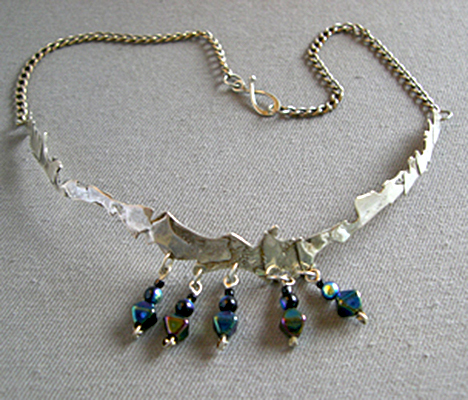 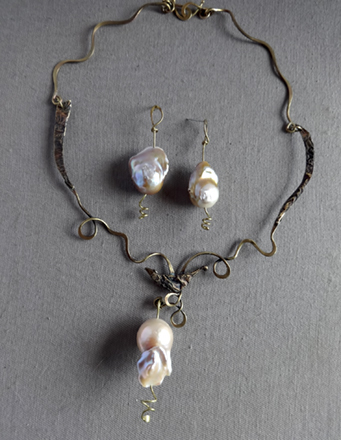 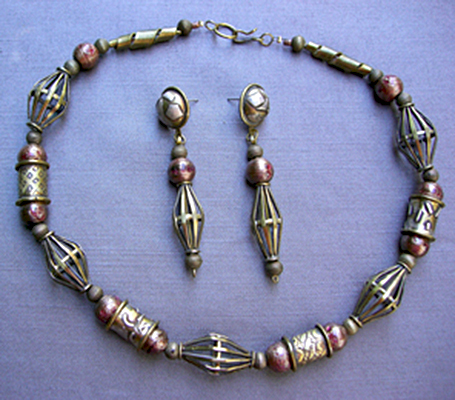 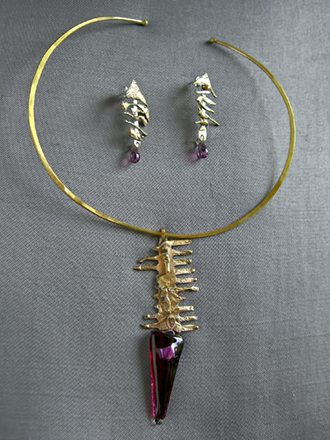 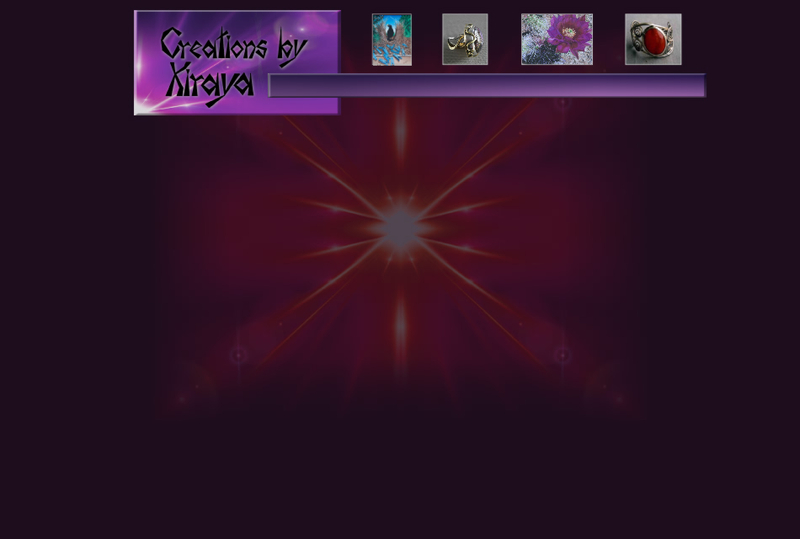 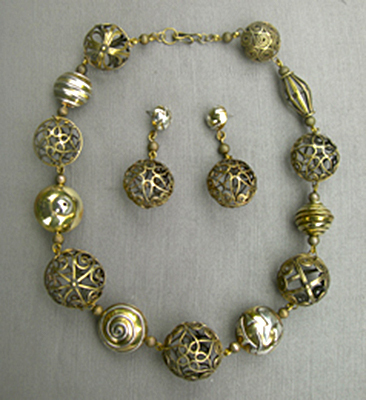 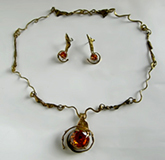 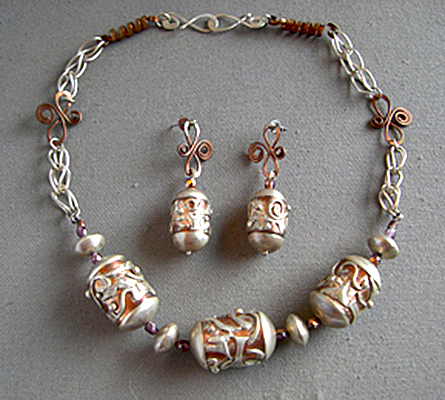 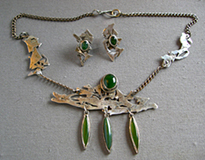 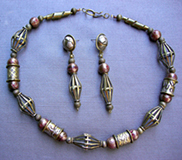 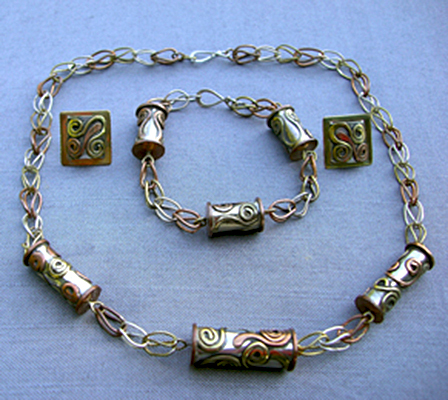 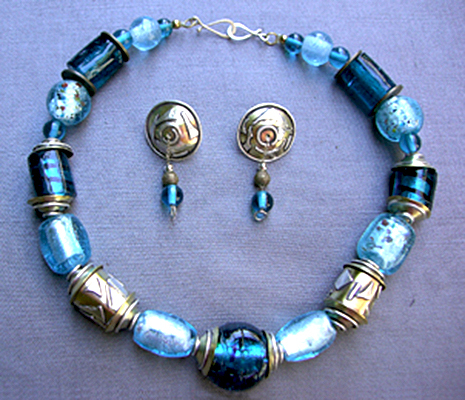 Necklace sets can be bought without the earrings.